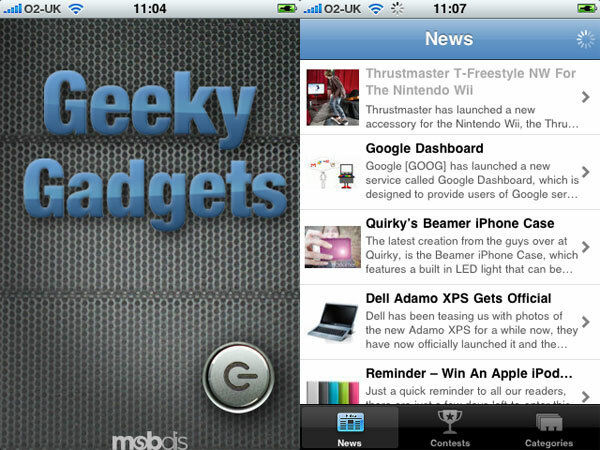 Just a quick update to let all our readers know what is happening with our free Geeky Gadgets iPhone App. Our iPhone developers submitted the Geeky Gadgets iPhone App to Apple for approval just over two weeks ago, and guess what, it is still awaiting approval from Apple. We are hoping that the Geeky Gadgets iPhone App will be approved by Apple very soon, and that all our readers will be able to get Geeky Gadgets daily news delivered direct to their iPhone. I will post another update as soon as the App goes live or we hear something from Apple.